Frontier Loan Group, Inc.’s goal is to give our clients the best deal they can get through transparency and education on the whole process. Whether applying or seeking to learn more about Reverse Mortgages also known as Home Equity Conversion Mortgages we are here to help. Reverse Mortgage information out on the web can be inaccurate and outdated. Consequently, most of us have heard horror stories about them but how much of that is true? You would be surprised to find out the program is quite popular now especially now that recent changes took into effect on October of this year. Reverse Mortgages now are designed to really help seniors live a better quality of life and a stress free financial experience for the rest of their lives. 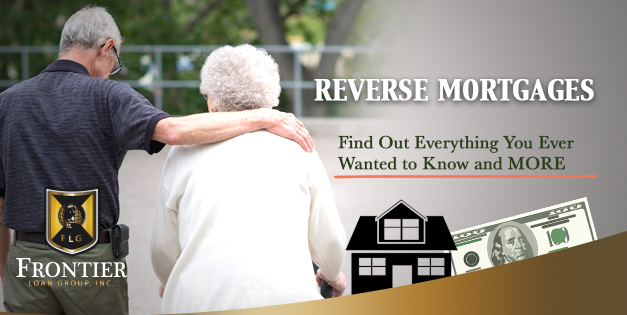 Most of all, FLG would like to remind seniors considering a Reverse Mortgage to not hesitate when considering obtaining reverse mortgage information. Due to the current housing situation, should anything happen it could affect your eligibility if you wait too long. ← Reverse Mortgages vs HECM – Learn the difference today!